There are two most commonly found wasp species in the UK, the Common Wasp and the German Wasp. Wasps are a six legged insect with two pairs of wings, two fairly long, thick antennae and a pair of biting/scraping mandibles. The adult workers, which are always females, measure 12-17mm in length, while the queens are around 20mm in length. Their vivid black and yellow stripes give a clear warning to other animals and insects that they are a dangerous insect. The Common Wasp and German Wasp are very similar in appearance, the key difference is that Common Wasps lack the three black dots on the head and distinct black dots on the back merging with the back stripes. Only the female wasps can sting and despite popular belief, they are able to sting repeatedly. To the naked eye it is almost impossible to distinguish between a male and female wasp, therefore caution should be taken with all wasps. Hornets are very similar to the Common Wasp in appearance, but ae larger in size, around 40mm in length and have a distinctive orange abdomen with brown stripes. One of the most obvious signs that a wasp nest is present is an abnormally high number of wasps in your area. This could be around your garden or inside your property. 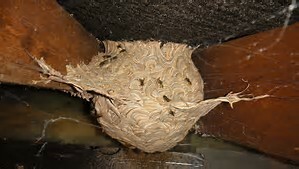 Wasps build their nest during the spring. A fertilised queen emerges from her hibernation around mid April and searches for a suitable site to build her nest. 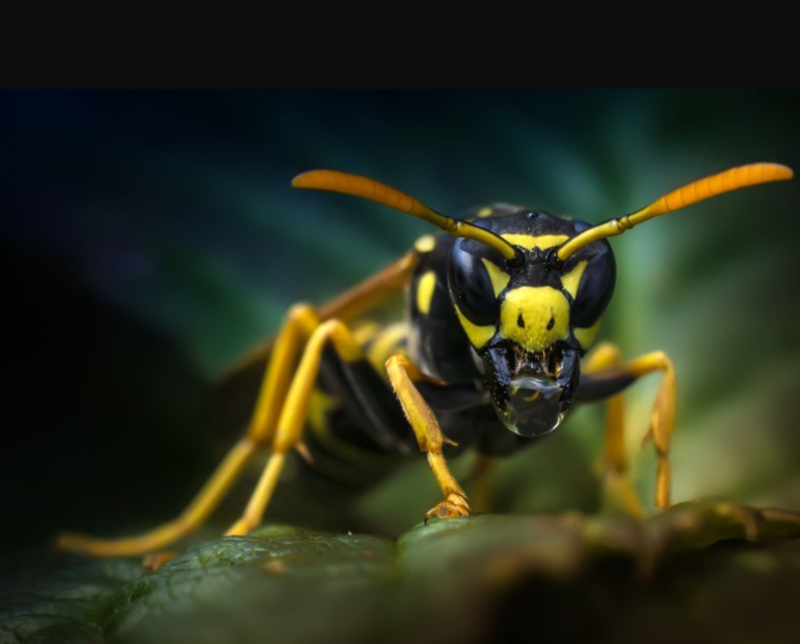 Wall cavities, roof spaces, under eaves, bird boxes, sheds and garages are ideal locations for wasps as they provide shelter from the weather and access to the outside world. As the nest begins to grow, more and more wasps will congregate and can be seen frequently flying in and out of the area. By late summer a wasp nest can contain in excess of 10,000 wasps making them much easier to spot. 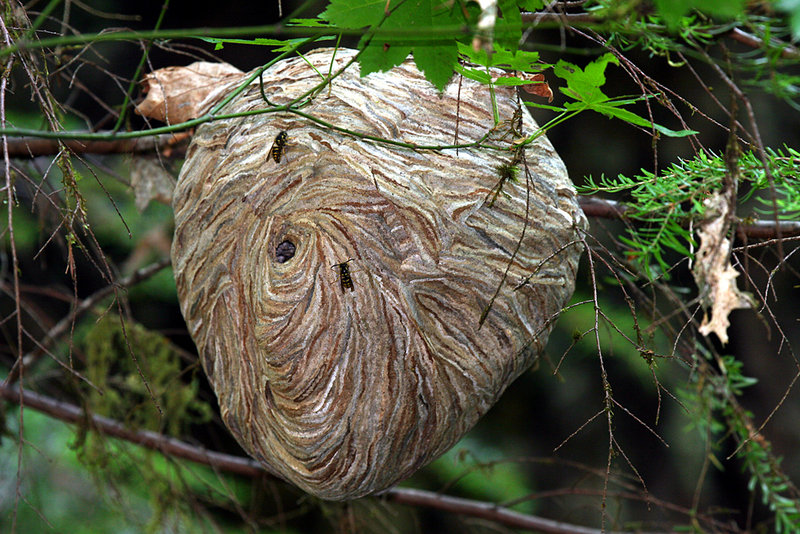 How serious is a wasp nest? 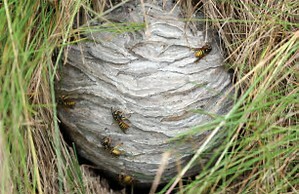 If a wasp nest is disturbed or the colony feels under threat, wasps can and will attack in large numbers. When a wasp stings it simultaneously emits a chemical that signals the rest of the colony to attack. Wasps are at their most aggressive between August and October, by late summer the work of a wasp is done and they begin to search out sweet foods and ripe fruit which ferments inside them, leaving the wasp with a hangover and bad attitude! The majority of people without sting allergies will only show minor symptoms after a wasp sting. Symptoms will include sharp pain burning at the sting site, redness, swelling and sometimes itching can also occur. Some people may be allergic to wasp stings. The most severe allergic reactions to wasp stings are referred to as anaphylaxis. This occurs when the body goes into shock in response to the wasp venom. Most people who go into shock after a wasp sting do so very quickly. Can I undertake wasp nest removal myself? It is extremely recommended that you do not approach a wasp nest and that a professional pest control company is contacted. Although there are products available, if a wasp nest removal is not completed correctly you could put you and your family at risk. A professional pest control company will have the correct safety equipment, access to products that are not available to the general public. 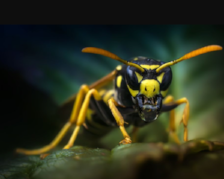 Here at Bradford Pest Control, our technicians are fully trained and highly skilled to ensure that the wasp nest removal is carried out quickly and safely. 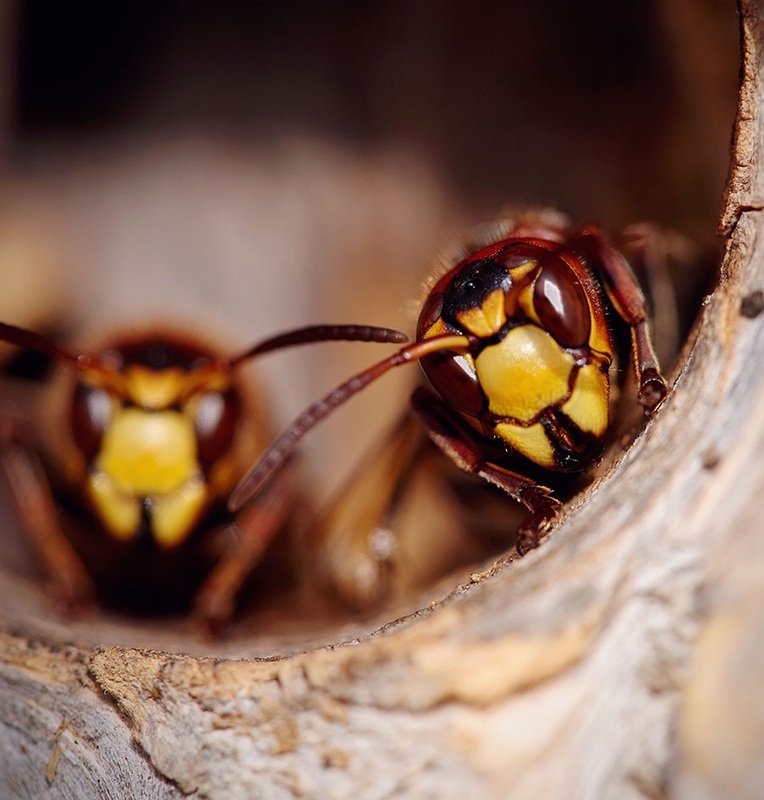 Our professional pest control technician will examine your property and locate the wasp nest site. Our technician will use the best tools, safety equipment and professional use products to ensure safe wasp nest removal. Do I need to do anything before the wasp nest removal takes place? No, you don't need to do anything at all. 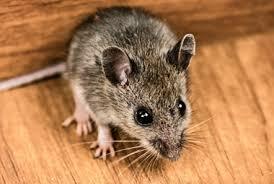 Our professional pest control technician will ensure that our service is carried out quickly and safely. All that we request is once treatment has been carried out you avoid the nest area for up to 24 hours. 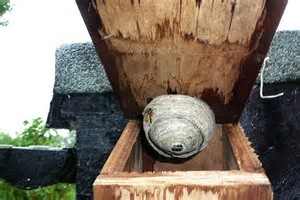 You may see wasps attacking at the nest area, and other wasps returning to the nest site. This is completely normal and within a few hours the nest will no longer be live.